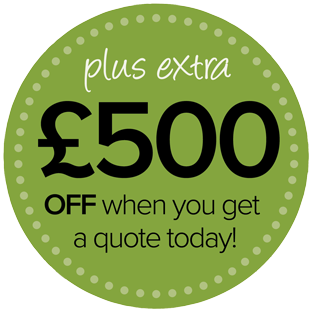 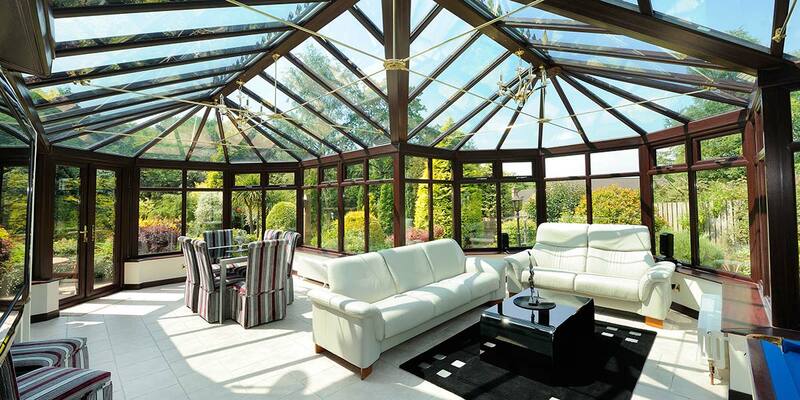 We all need to unwind at times and a bespoke conservatory is an ideal place for relaxation and switching off. 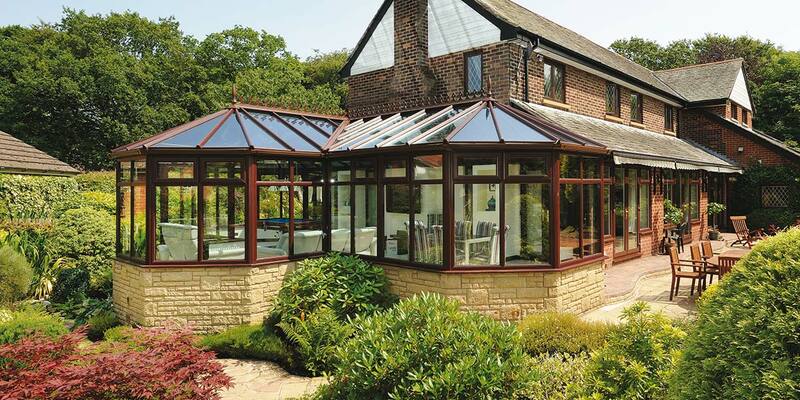 Conservatories are available in a host of shapes and styles, including this bespoke T-shaped formation. 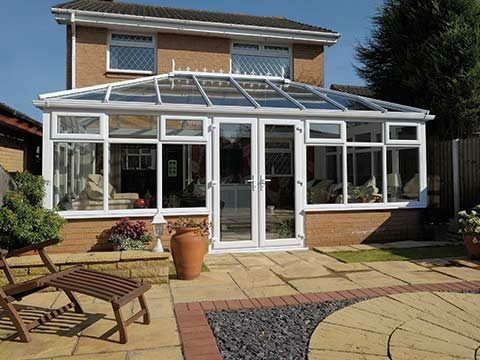 A bespoke conservatory has a very visible likeness to the Victorian, Edwardian and Gable conservatory designs. 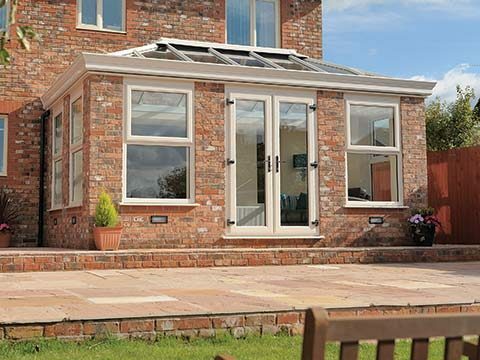 Perfect for the larger home, a seating area has been established in the central projection so that when lounging the occupants feel as though they’re sat out in the garden. 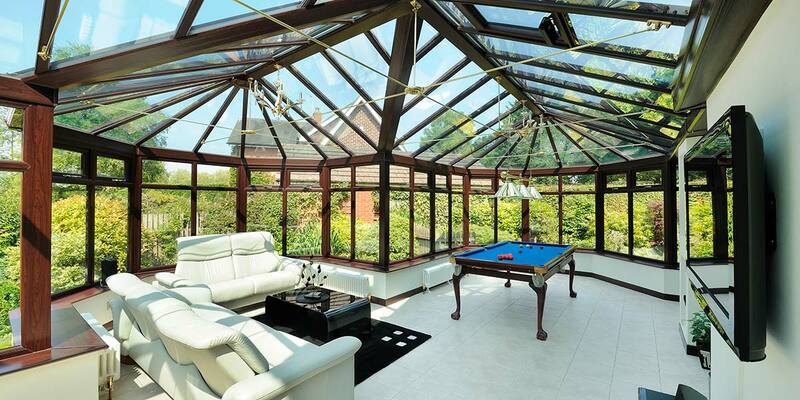 It also has two projections at the side where a dining table and chairs have been installed, together with a substantial snooker table which highlights just how generously sized a bespoke conservatory is. 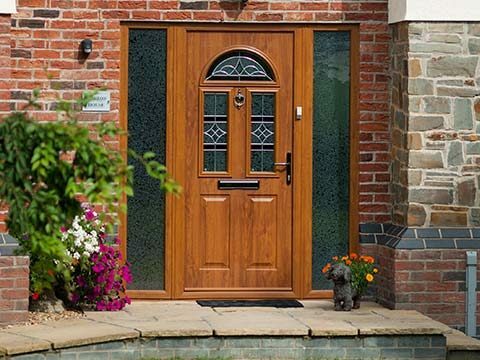 It has been finished in a mahogany woodgrain finish for a specific reason – to replicate the look of timber. 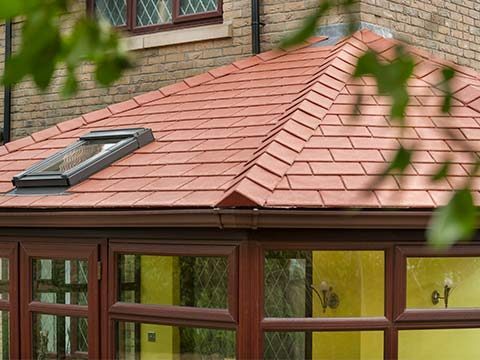 You will notice too that the roof is fully supported. 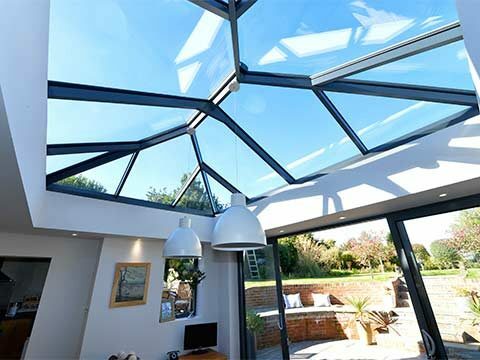 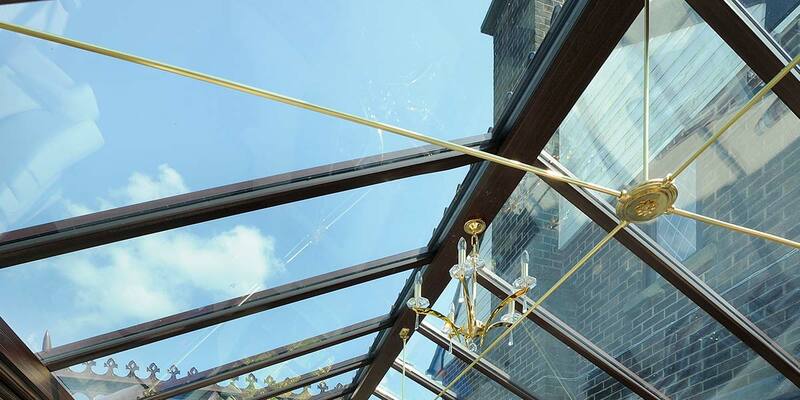 The very lengthy glazed panes in the roofing system keep beaming in the light of the sun right into the heart of the conservatory which you sense the moment you walk into its surrounds. 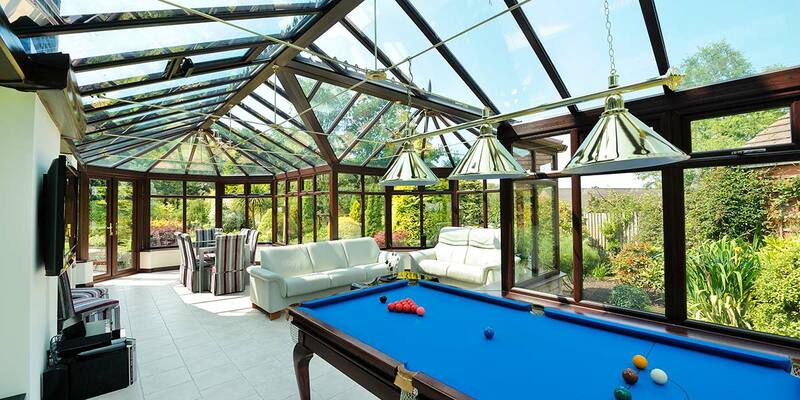 Two candle-armed lights have been installed in the roof so that any lounging can go on into the night and a brushed chrome bar and shades sit above the aforementioned snooker table. 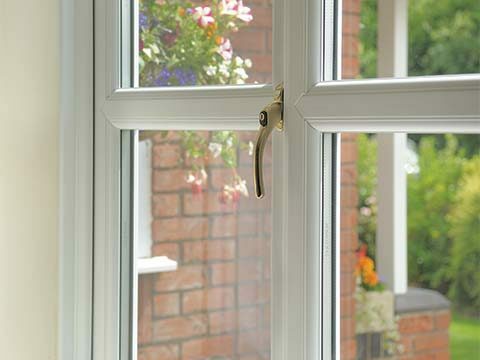 Lastly, when you walk inside and look to your left you gain sight of some French doors, the most beautiful exit point into the garden.